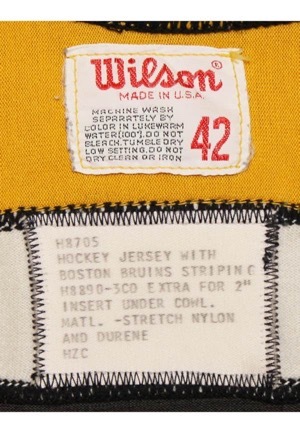 In the rear neck is the Wilson manufacturer’s tag size “42” with washing instructions. Adjacent below is a strip tag with printed notes reading the jersey materials. Across the chest is the large Bruins “B” logo in yellow, white and black tackle twill. 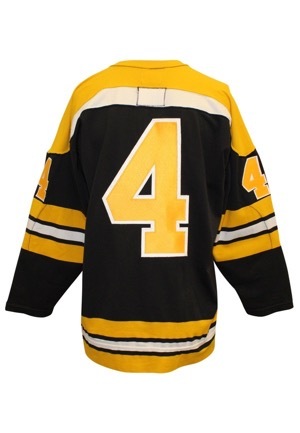 On both sleeves and on the back is the player number “4” in yellow on white tackle twill. 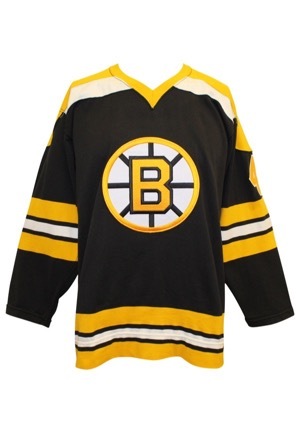 This jersey was presented to us as a salesman sample.